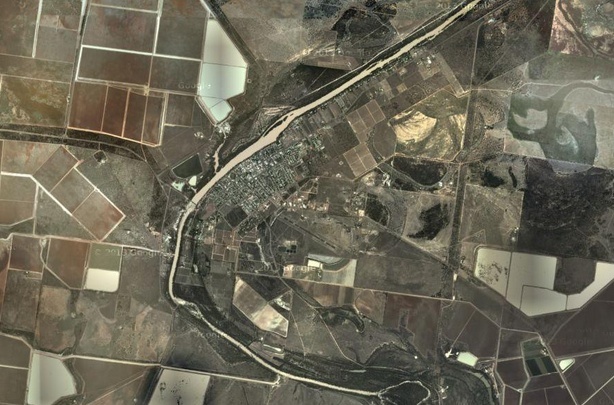 When you look at this aerial shot of Innamincka and its surrounding landscape it’s hard to fathom the amount of flood water that came through here recently. This is our resting place for tonight, and maybe another and another. 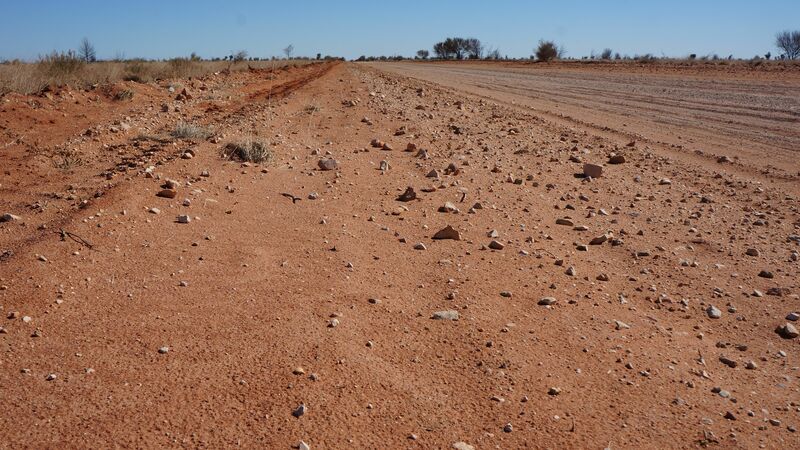 From Thargomindah, the asphalt on the road narrowed somewhat as we passed through oil and gas fields, towards the Grey Range (all 190 metres of it) and onto the gravel for the first time. Tyre pressure went down then up again for a long bitumen stretch then down again once we crossed the border into South Australia. Lunch was a creative number which I guarantee has never been done before – dolmades wraps. Music from the car speakers today via the wonders of Bluetooth included the wonderful Ruthie Foster. The lyrics of Mama Said resonated. “Try to keep my head held high and tell my feet not to be in such a hurry”. Let’s hope the open space and sky will slow us down. We arrived in Innamincka to an eerie dust haze just before 3, a kind of peak hour for the B-doubles making it difficult to make out the pub. We’re camping on Coopers Creek tonight. No electricity or water. 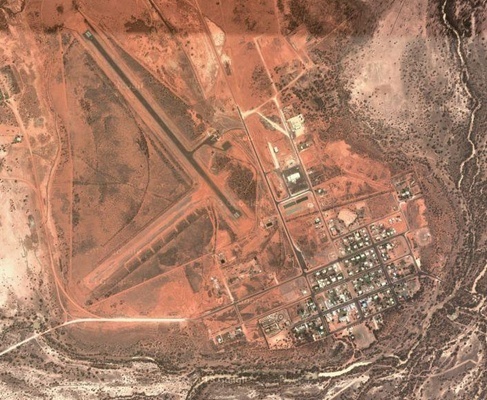 Tonight’s post is brought to you by battery power, and if it does actually escape from here, is courtesy of the Innamincka Hotel, whose wireless coverage extends to our sand lodgings on the creek. We made the trek up to the pub after dinner. As we are now in South Australia, a pint of Coopers Pale Ale was obligatory. Tomorrow we are off to see a tree and two grave sites, both of which are unoccupied. Hopefully there will be some life in those stories when tomorrow comes. 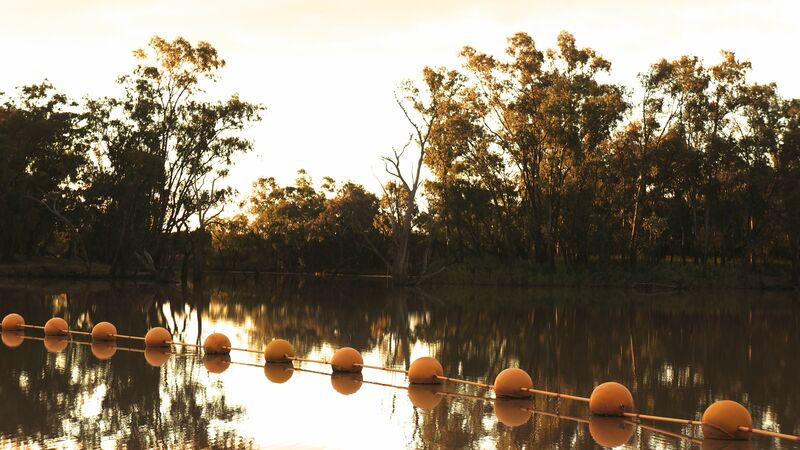 One of Thargomindah’s claims to fame is its early implementation of electric street lighting powered by hydro-electric power generated from artesian water. 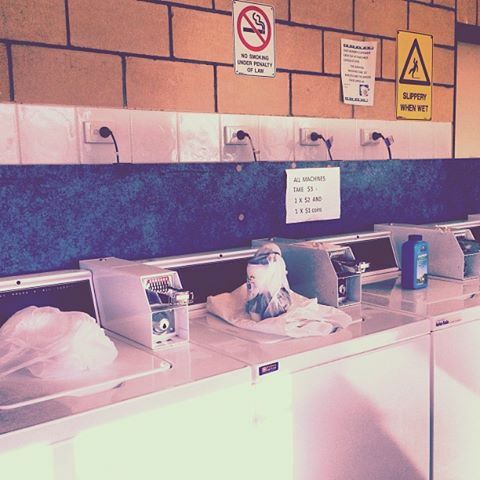 As the sign at the old bore site says – London, Paris, Thargomindah. 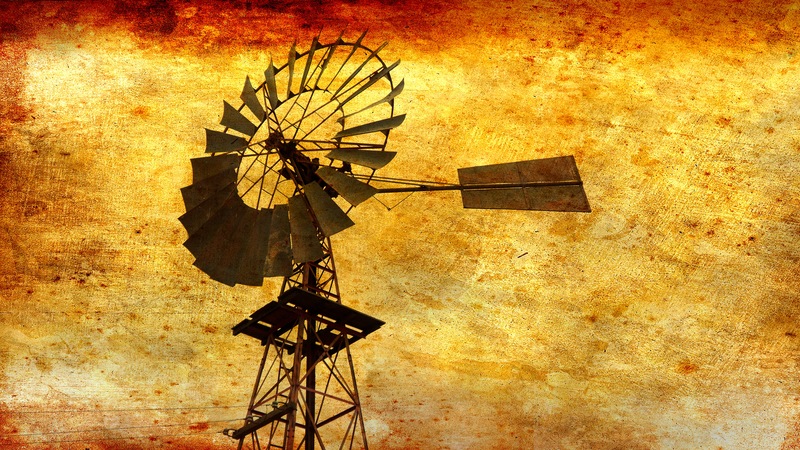 It was 1898, and Paris beat Thargomindah by one day. 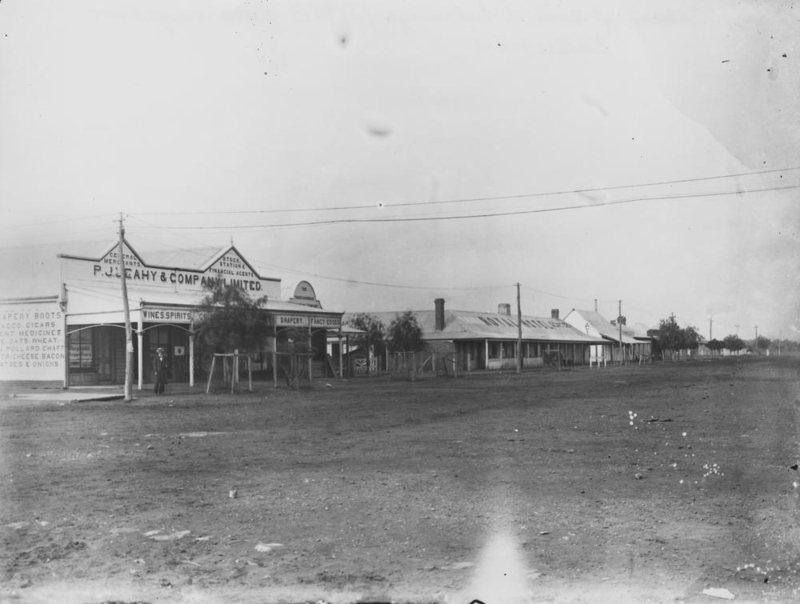 Image (Main Street, Thargomindah ca 1904) – John Oxley Library – State Library of Queensland – out of copyright. 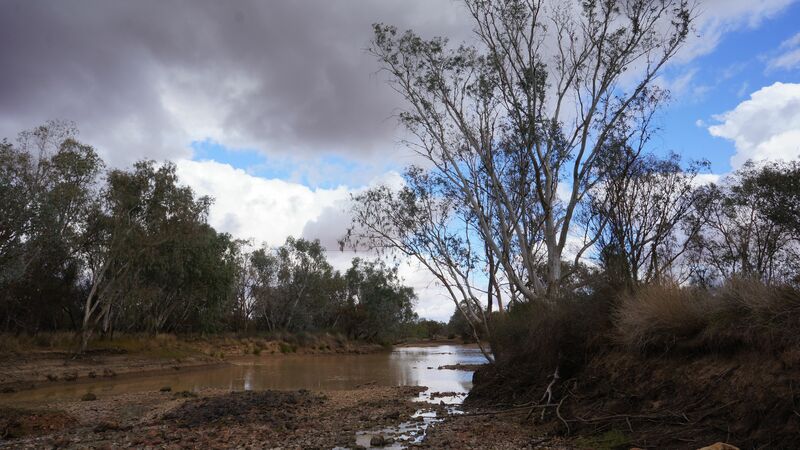 After some attention to the necessaries, our familiarisation with the town began with a walk along the Bulloo River from our ‘lodgings’ to the old Cobb and Co crossing site. 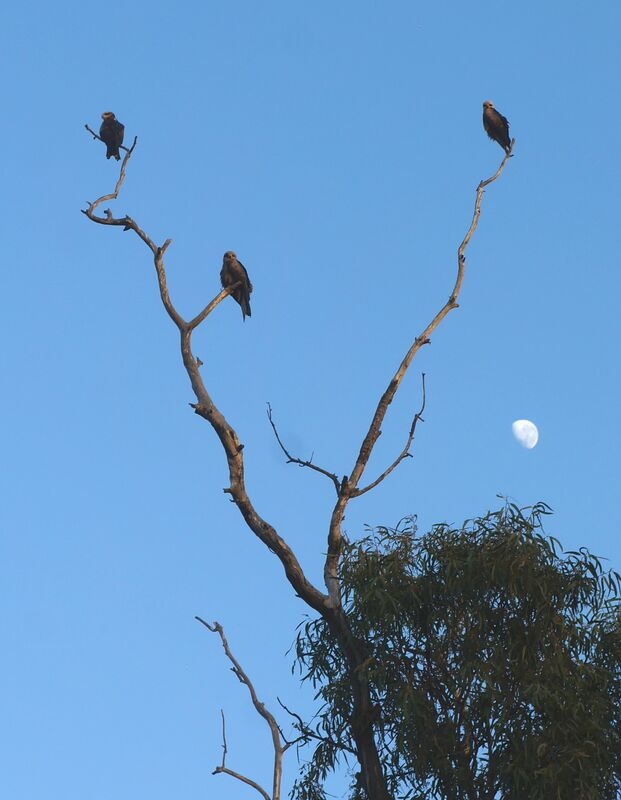 This flock of corellas was having the best time in the sky, outnumbering the also numerous wedge tailed eagles sharing the air currents. This photo was adapted with FX Ancient Canvas. Then out to the original hydro-electricity facility. Hot hot hot water. 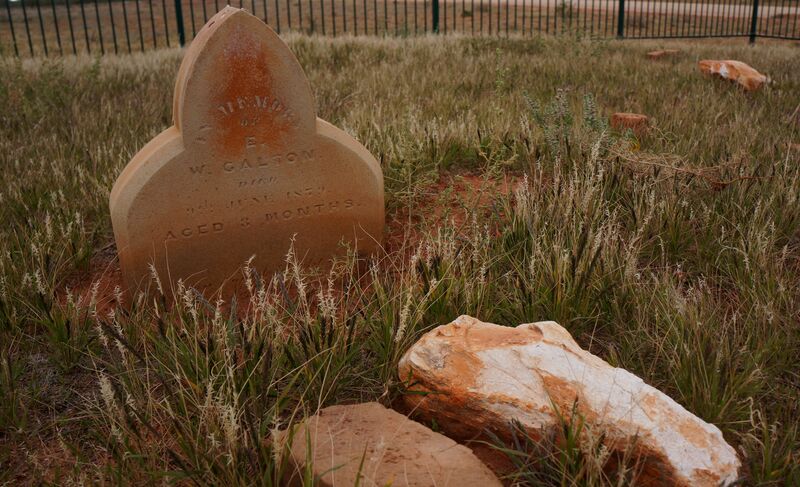 A little way out of town is the Historic Cemetery, sparsely populated with headstones. Further out is the modern cemetery, the population of which was supplemented by the presence of a number of grazing horses. 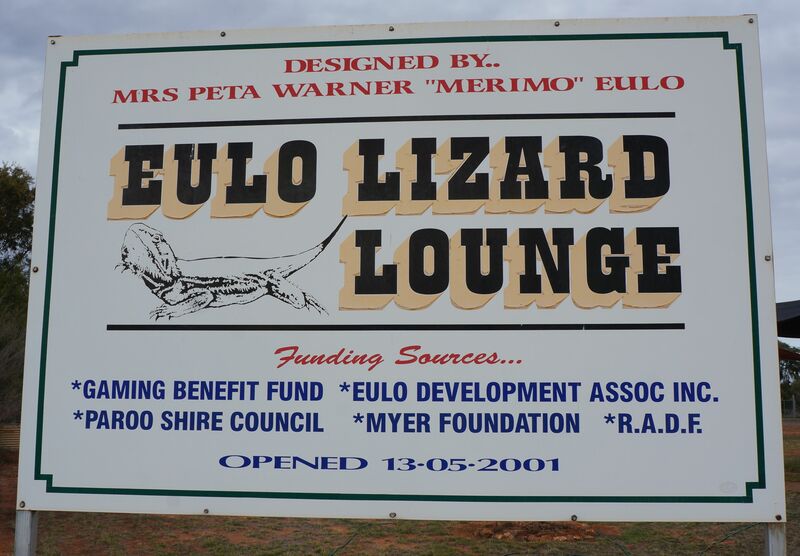 The day ended with dinner at the Bulloo River Hotel. And now that I’ve correctly identified the gender division of the facilities in the van park, I am at a lower risk of embarrassing myself tonight. Note to self – the presence of very large working boots outside one of the shower cubicles is, not always but often, a sign. 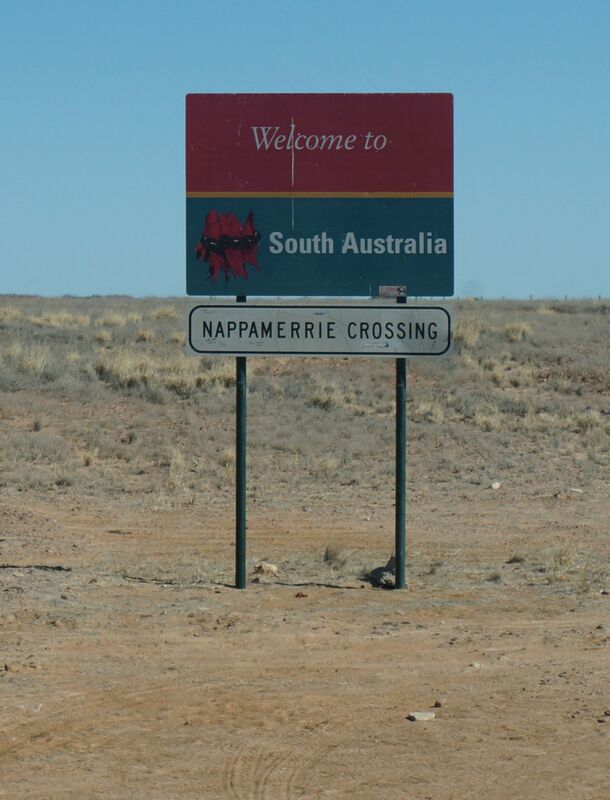 We’re heading to Innamincka in South Australia tomorrow. I can feel the internet signals fading ………..
For those of you who would prefer a shorthand version of our travels today, here’s a precis. 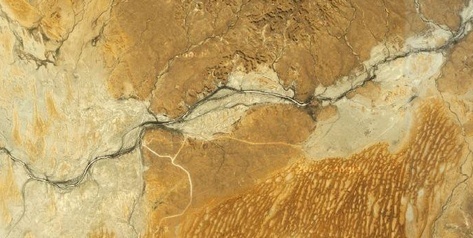 Aerial pics via Google Maps. For more, read on Macduff. (Yes I know it’s not “read on” in the original. Poetic licence reigns particularly when I’m sitting here watching the sun go over the horizon with a cold beer). Against character, we were up and on the road early. Remember though that early is all relative particularly in the world of seasoned caravan travellers of which we are not. 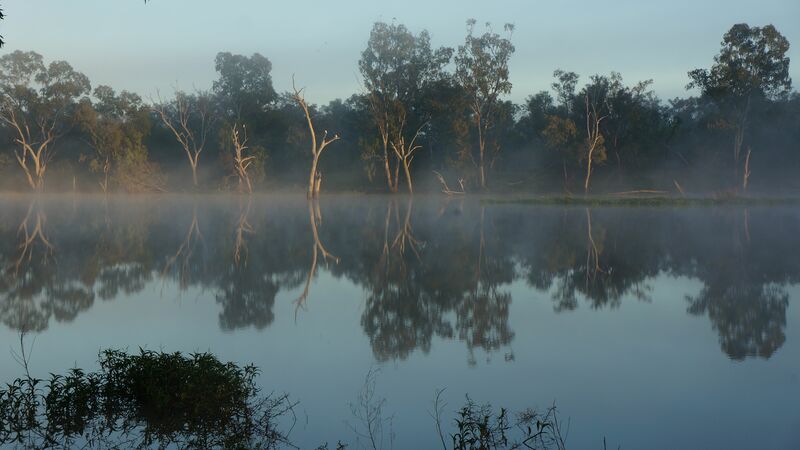 Here’s proof of the early hour on the Balonne River. 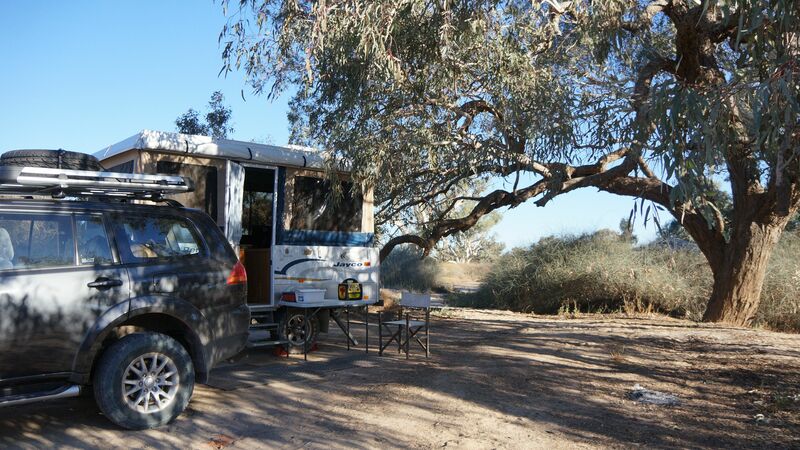 With 500 kilometres ahead of us, hot drinks and Vegemite toast to hand, we set off. You’ll be pleased to hear we tested the GPS and found it to be working, the first instruction being in 175 kilometres, turn right. In today’s FAUNA NEWS, one kangaroo is very lucky to still be alive. His timing was impeccable. We had our first echidna siting. Sheep, cattle, roos, emus and feral cats and goats made up the balance. 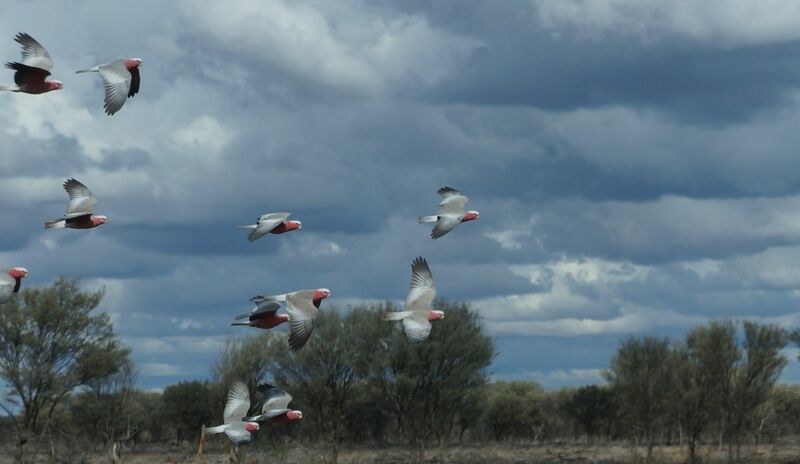 I captured these galahs attempting to race us up the highway. I can’t leave you tonight without sharing the story of Destructo the Cockroach. Yes, another monument to an insect, this time in Eulo. 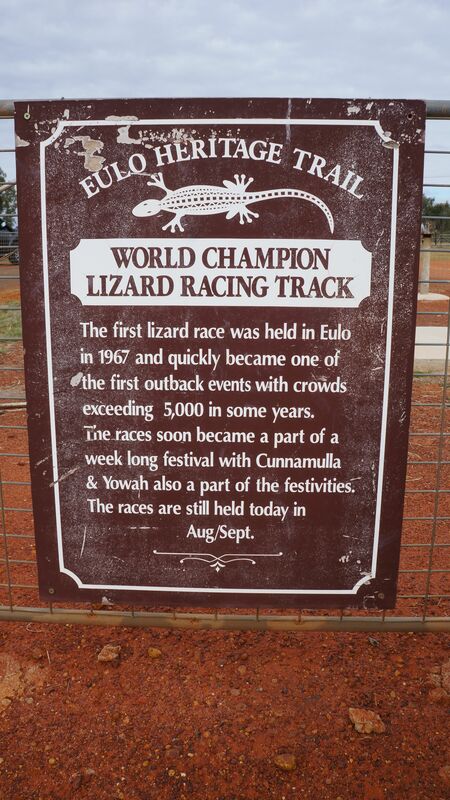 It’s a tragic tale that took place at the Lizard Racing Track in 1980. 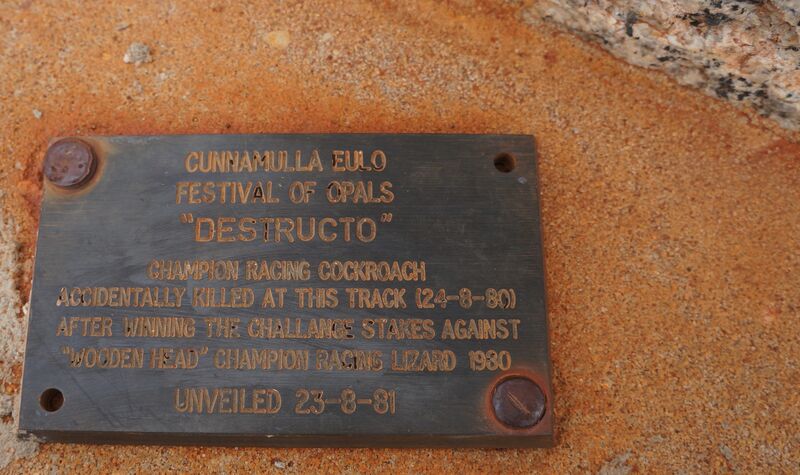 Destructo was accidentally killed after winning The Challenge Stakes for Cockroaches. I don’t know the details, but you can imagine the owner moving quickly from elation to disbelief. It seems fitting to memorialise him don’t you think? 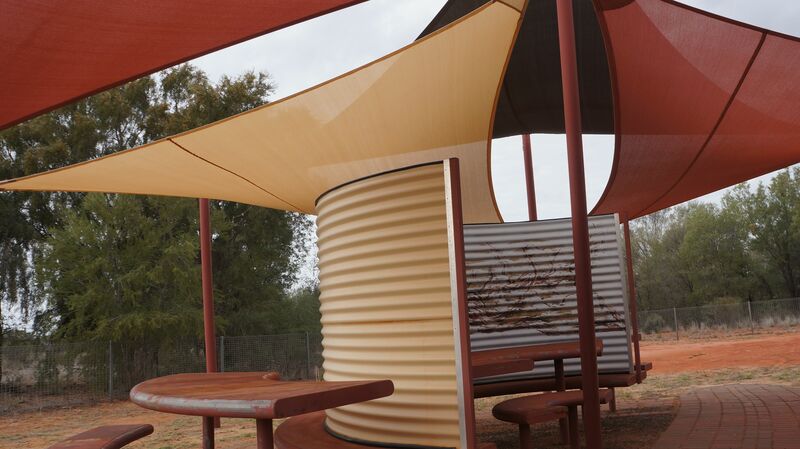 We were at Eulo for lunch and enjoyed the picnic shelter provided in The Lizard Lounge beside the Eulo Bore. These cattle were in town for a visit, keeping a watchful eye on the Bore. 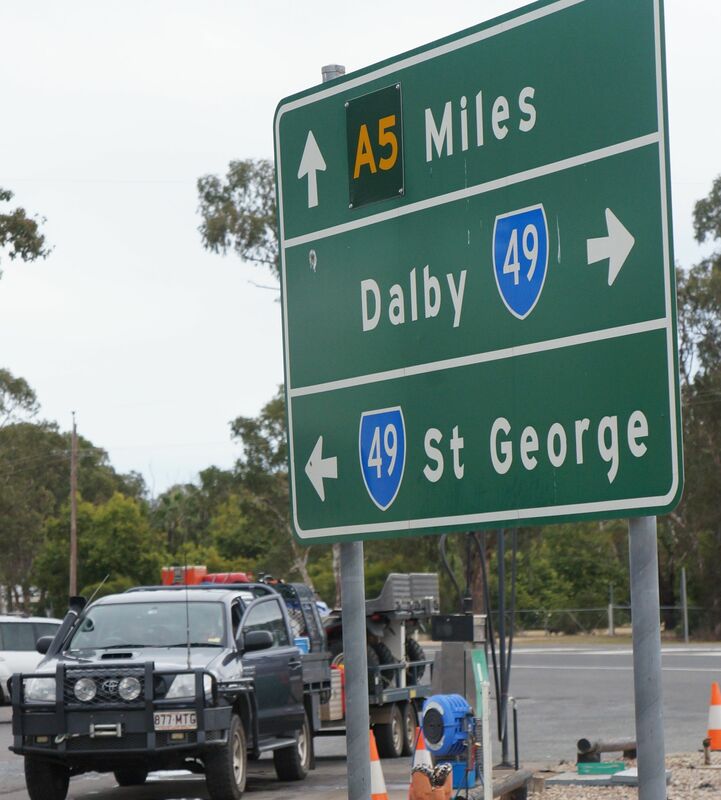 There’s quite a deal of Coal Seam Gas extraction going on in the Dalby district if the presence of wells, rigs and surveyors is anything to go by. The first wallaby we saw today was a live one. The rest is sad news. The good news is that the predator birds in the district are very good at scouring the roads for their sustenance. Even some pigs featured in the road kill toll. Speaking of food, what’s available for lunch in roadhouse establishments is motivation for us to begin the self-catering discipline tomorrow. Let’s just say – when too much white bread is enough. Still the coffee was good at the Moonie Crossroads Roadhouse and we were happy to get out of the vehicle for a break. I spent the afternoon having limited success experimenting with possible rig ups for our new GoPro camera. I thought I’d found a good spot for the suction cap on my passenger window until Himself pointed out that he couldn’t see the rear vision mirrors. 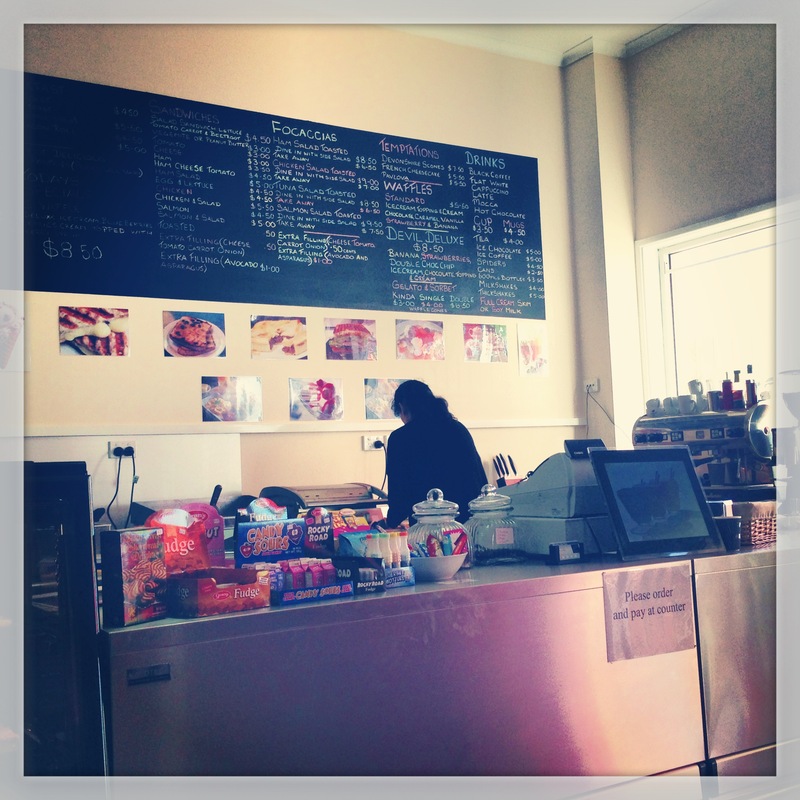 A minor point – conceded. As we got closer to St George, the sides of the roads were littered with cotton, presumably lost off trucks. 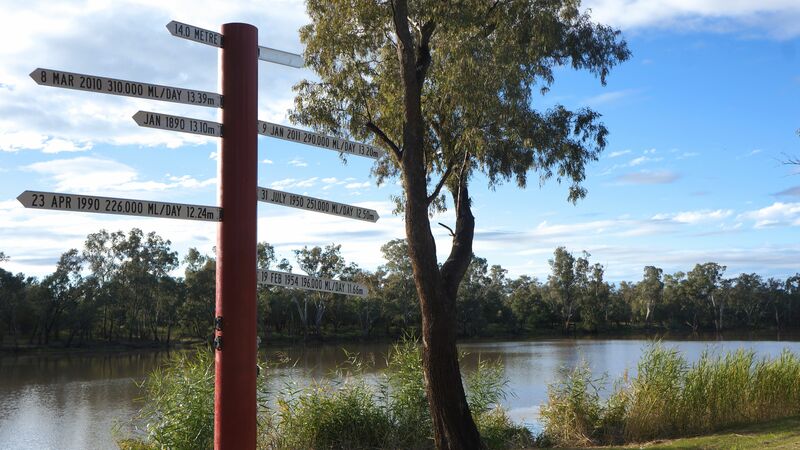 Our arrival time in St George meant we had time for a good amble up the Balonne River walk into town. Here are a few snaps. Not many towns have a monument to a caterpillar and its egg laying moth(er). This modest cairn in Dalby pays tribute to the exemplary efforts of the Cactoblastis Cactorum, responsible for the eradication of Opuntia Stricta, more commonly known as prickly pear. 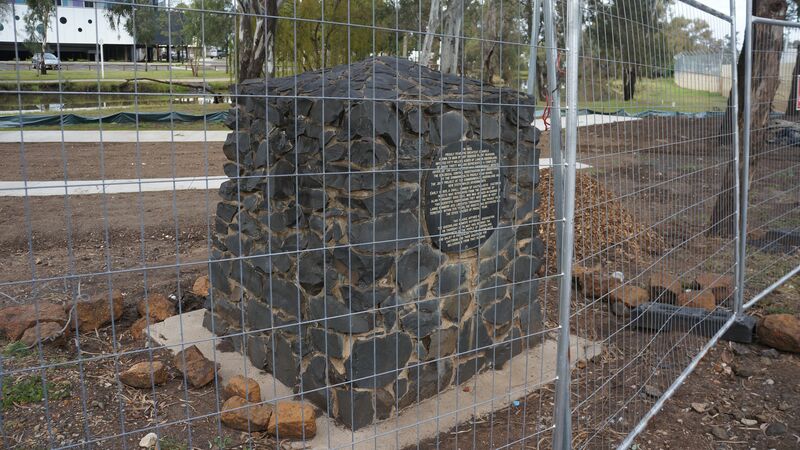 Myall Creek foreshore is undergoing some restoration work, so the monument is somewhat obscured by fencing. 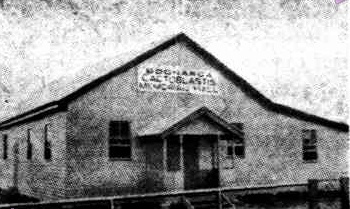 Other friends of the little cactus suckers include the people of Boonarga near Chinchilla (an hour’s drive north-west of Dalby) who in 1936 erected the Cactoblastis Memorial Hall. Image via The Mail (Adelaide) – 26 December 1936. 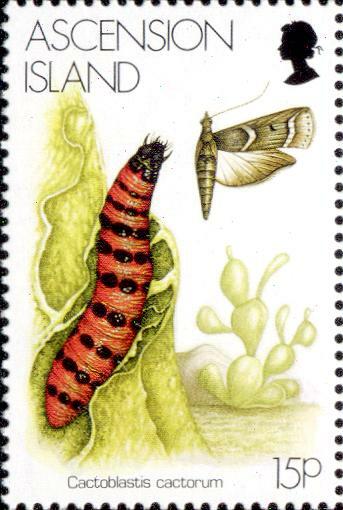 In the 1970s, the people of The Ascension Islands in the middle of the Atlantic Ocean were well pleased with the insect too and honoured it on a postage stamp. Image via Lepidoptera Larvae of Australia. 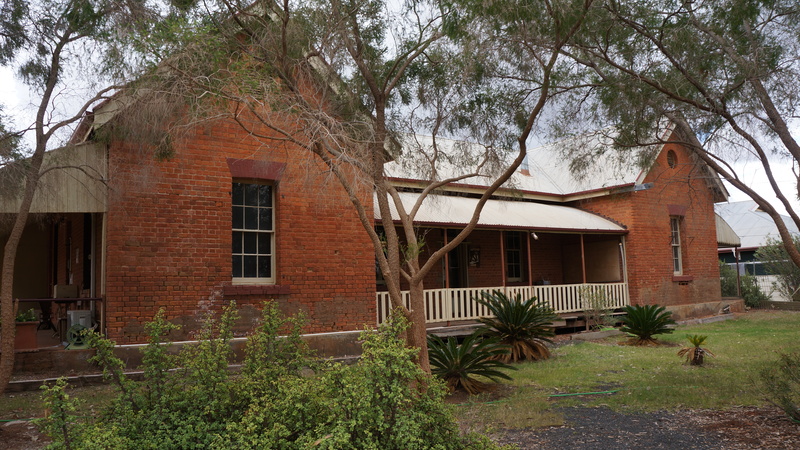 This post by Simon Miller from the John Oxley Library describes the contribution of Dr Jean Haney-White towards the eradication of the cactus. And here’s the inscription on the Dalby monument. In 1925 Prickly Pear, the greatest example known to man of any noxious plant invasion, infested fifty million acres of land in Queensland, of which thirty million represented a complete coverage. 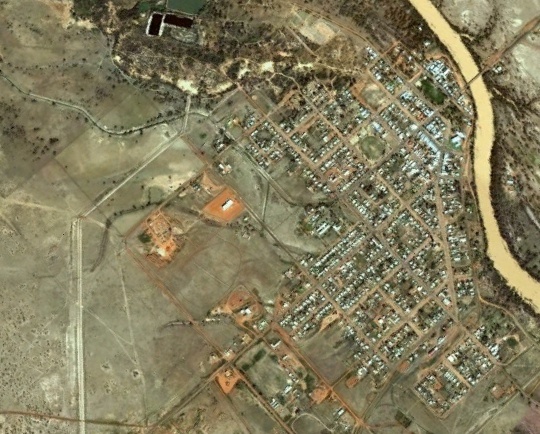 The Dalby region was then heavily infested. The biological control investigation was undertaken by the Commonwealth Prickly Pear Board, the joint project of the Commonwealth, Queensland and New South Wales governments. Early in 1925, a small number of Cactoblastic Cactorum insects was introduced from the Argentine by Alan Parkhurst Dodd, OBE, who was officer-in-charge of this scientific undertaking. They were bred in very large numbers and liberated throughout the prickly pear territory. Within ten years, the insects had destroyed all the dense masses of prickly pear. 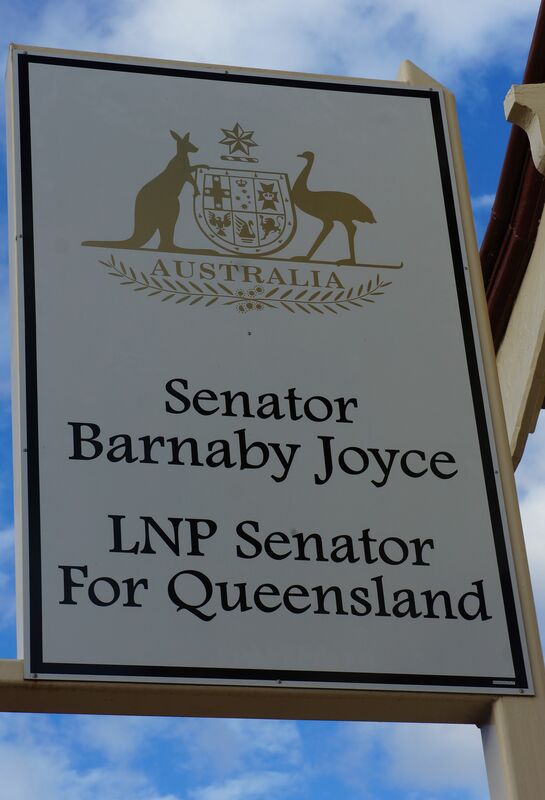 This plaque, affixed by the Queensland Women’s Historical Association on Thursday 27th May 1965, records the indebtedness of the people of Queensland, and Dalby in particular,to the Cactoblastic Cactorum, and their gratitude for deliverance from that scourge. In other parts of the world, the moth isn’t so revered. Texans, for example, are fond of the prickly pear. It’s the state’s official plant symbol and a valued food source rich in Vitamin C. The moth, so loved in western Queensland, is listed there as an invasive pest. A hectic day to say the least. Four of us up and about early this morning to get the place shipshape for our house sitters who will move in tonight for the duration of our time away. I do hope they’ll forgive the washing on the line. I did warn them that there was a distinct possibility there would be evidence of a rushed departure. The gals are flying south today after spending time with their parentals before we disappear into the desert. The climb up the range to Toowoomba was the first big test for the load we’re towing. As I noticed nothing in the rear vision mirror falling off the back of the vehicle (eg the van itself) or the van, I’ll rate that a success. A pit stop for toasted sangers at the Milky Way Coffee Shop at Crowley Vale’s Big Orange fed the hunger while the big trucks trundled along the Warrego Highway. Extensive road reconstruction is taking place after the recent major flood events. The coffee shop was adorned with huge telescopes which will be shared for star gazing at a public viewing they have scheduled for 6 July. We’re in Dalby and it’s cool with a forecast low tonight of 5 degrees C. We cheated and had a meal at the local RSL. Sadly we’ll miss seeing the double act Elvis and Roy Orbison impersonators playing there in a couple of weeks. The State of Origin was being telecast and a worthy substitute it was. I decided it would be wise to keep my blue origins under wraps given the number in the crowd dressed in maroon and the amount of amber ale being enjoyed while the game was on. As it happens I needed to keep other views at bay also as the political landscape shifted. I’m sure the cheers were more for the defeat of Ms Gillard than the resurrection of Rudd. If you’re wondering how the first camp set up went, remarkably well is the answer. Nary a harsh word was spoken. The need for an extra hose fitting not supplied by the park was the only glitch as the afternoon sun politely lingered over the horizon. 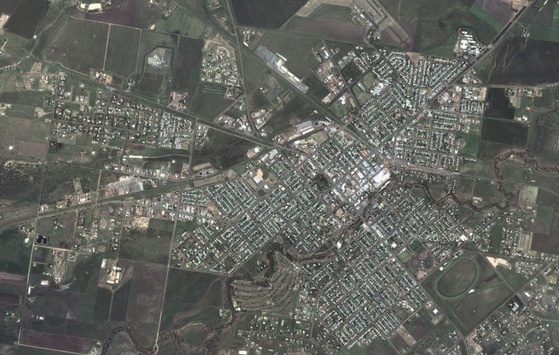 We’re on the Darling Downs named after an early colonial governor and the hills and dales in England. 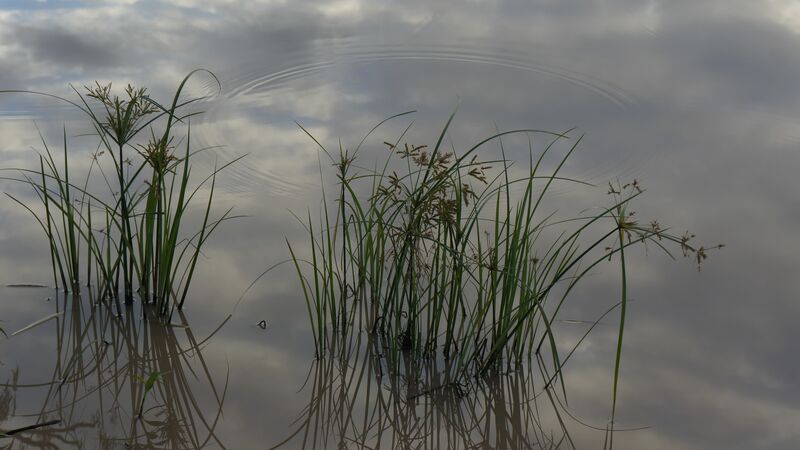 Except, as with many quirks of the English language as it spread itself about the globe, downs in Australia are flat grasslands, flat, flat, flat. There’s more of that flat ahead of us today once we leave Dalby. The Triffids are on the play list and the likely destination is St George. Is it just me or I am right to be wary of going on a 12 week road trip to Broome and back where half the volume on board is taken up by items (with the possible exception of insect repellent and sunscreen) aimed at being able to manage a situation AFTER the event. Some people may consider me to be a tad risk averse and this is indeed true. The fact that Himself (the more adventurous one in the party of two) is taking great care to be prepared for the worst is not exactly adding to my anticipation of a fun time being had by all. If it was left to me, travel preparation would go thus. I offer this reassuring note to my friends, particularly those who laughed out loud and for a long time when I told them we were going on a LONG journey with a van and a tent. 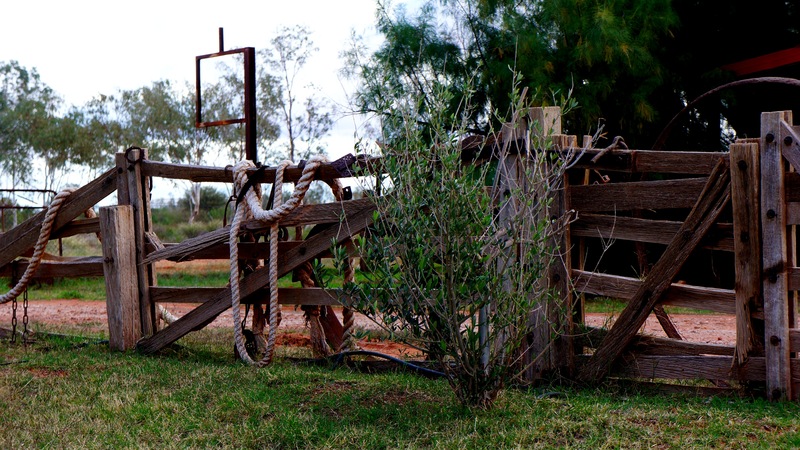 If we do get bogged, we have a big jack, something called a winch, and copious tools and rope. If we get a flat tyre we have something that pumps it up again after it’s repaired with whatever’s in the tyre repair kit and two spare tyres. Amazingly we will be lowering the pressure of our tyres deliberately from time to time – apparently it’s a 4WD thing you need to do when going over sand. 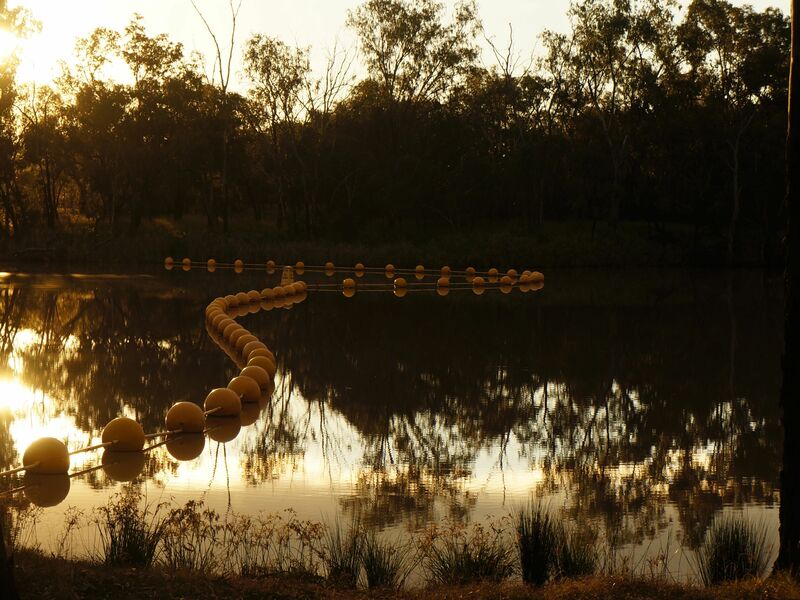 We won’t be fishing or camping anywhere near crocodiles – and if we do, I’ll be the one up a tree a couple of kilometres away. We have a first aid kit and I have brushed up on how to manage a snake bite. I say this seriously as – I don’t like snakes and I cannot lie. If the engine overheats and things blow we’ve got that covered. Spare fuel containers – tick; spare water containers – tick; additional car battery – tick. Not to mention other items meant to (let’s face it, not really) replace the usual comforts of home. Front of mind, there’s this pop-up privacy structure for showering. How creative was it for someone to invent a gizmo that pumps water from a bucket using a hand held rose. The aforesaid structure will also house a portable toilet. I’m hoping it’s my imagination but I can feel my body shutting down at the mere thought. If this isn’t tied down with guy-ropes in a stiff breeze, at least there’s the basis of a funny story somewhere down the blog track. If you’re reading this, we’re on our way. Himself might consider this something of a miracle given my expressed reluctance thus far. Still, I’m looking forward to getting where we’re going even if the method of travel is by caravan.